Welcome to the City of P-I-N-E-s! 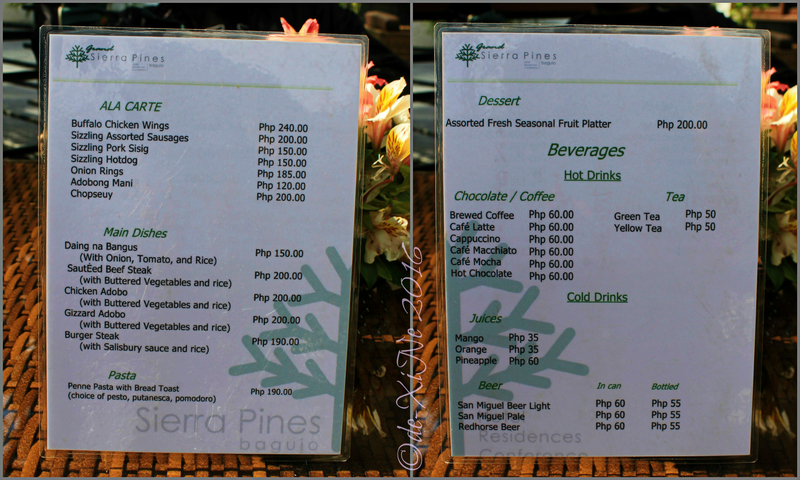 Sierra Pines’ al fresco resto has a simple menu for now. I assume this will change (with additions and replacements) as soon as they’re all set up. We were, however, good with the selection they had then. I’m keeping my fingers crossed that they don’t take the beef steak out of the menu in the future as I enjoyed that immensely what with its fat marbling and tastiness. Even without the sauce, this was the perfect (late) lunchage. \m/ Race’s pork sisig was equally scrumptious. So flavorful and a huge enough serving, we had to get another order of rice to go with it. Starting to feel at home in Grand Sierra Pines. A little more of an effort to get to (and come back to town from if you don’t have a private vehicle) but surely one worth the trip, for its seclusion and quiet [which I love so much. Watch me do that are-you-not-entertained or don’t-cry-for-me-Argentina pose (but with more oomph *snickers) in the middle of the dining area]. Having seen the golf carts go around the green like toys in a set, from the balcony of Foggy Mountain Cookhouse, we got Pinewoods Golf Club on our list as soon as Karla gave us the info that it, particularly its resto, is open to the public (golfer or not). (All golfers welcome on the course; no membership needed.) Yey! NOTE: Please make sure you have a means for going back to civilization when you plan on making a visit here. It’s so secluded at the moment, there are no jeeps or taxis in sight. Might be a good long walk to where there are lots of people and public transpo. The food selection at the club was not a surprise to us since it’s Beggang Resto Grill that takes care of Manduto Restaurant. A welcome taste to us, no doubt. (One of our faves.) ^^, Tempting as it was to have kare-kare, crispy sinigang, or something hot and soupy as we sat outside in the wind and some fog buildup, for lunch, I gave their burger a try. Race, on the other hand, stuck to his favorite, (dinosaur =)) ) spare ribs. Needless to say, that was a hit. So was my burger, sturdy and didn’t get soggy with the pesto sauce, which not only came with fries but a healthful dessert of sliced banana drizzled with some choco ripple. That wasn’t the end of lunch at Pine Woods’ Manduto resto. We did come for Kharis desserts, too. (Yes, the chocoholic’s muse at home, finito.) It’s another slice of sans rival for me. The dining area, in and out. 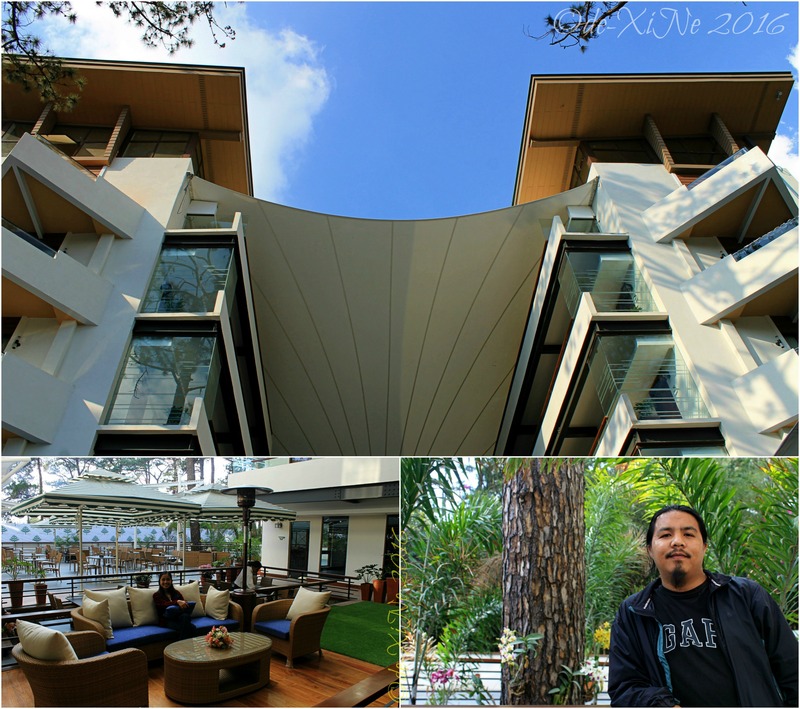 X marks the The Atrium Restaurant of Grand Sierra Pines as well as Manduto Restaurant at Pinewoods Golf and Country Club for good food in Baguio. 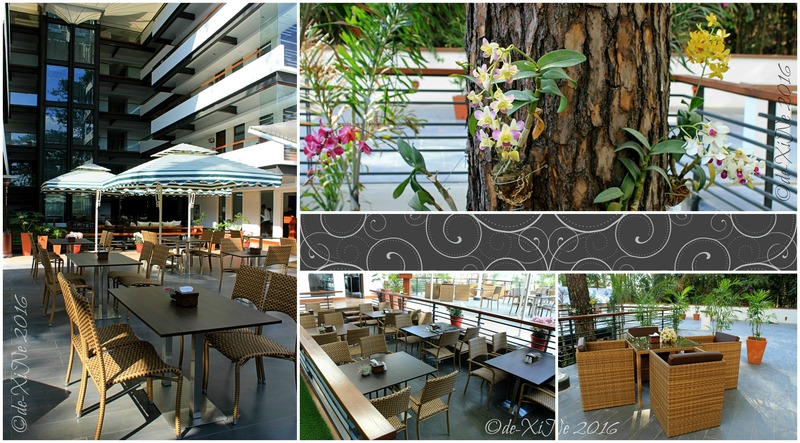 Looks like a good place for quiet time both on the green and in the Manduto restaurant. 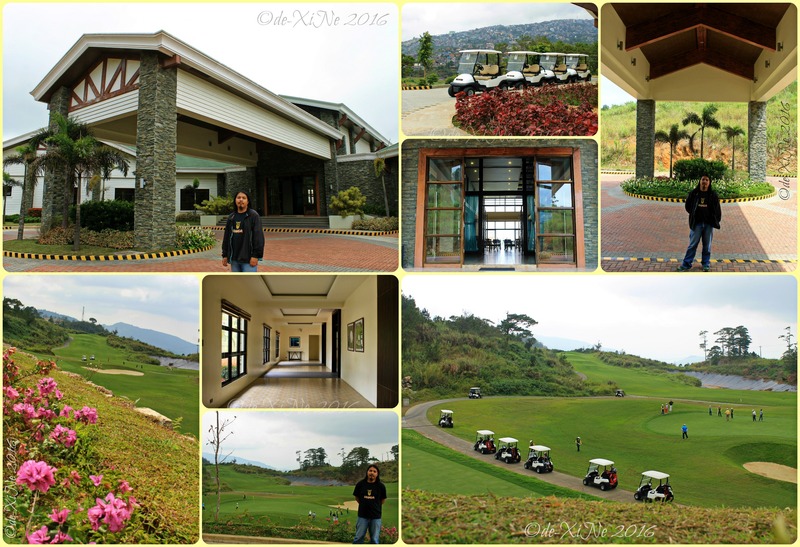 Another great write-up for where to eat and also where to go and golf in Baguio. Hello, lån! 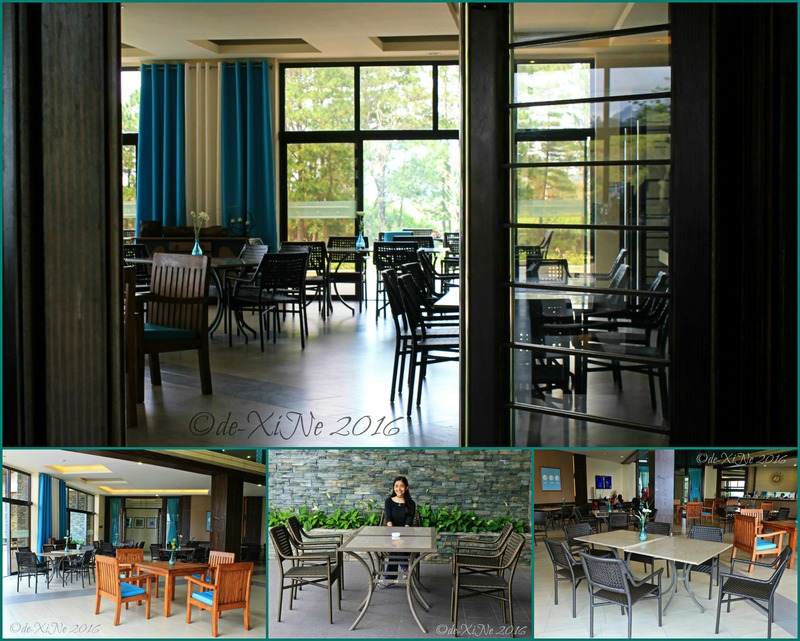 Thank you so much for visiting this Baguio blog again!